Wanting to migrate to Canada. Manitoba's Skilled Worker Immigration Draw on Jan 27 2017 invited 189 to apply for permanent residence in Canada. Learn about this immigration program and if you could qualify! The Manitoba Provincial Nominee Program (MPNP) has conducted the first Expression of Interest (EOI) draw of 2017 for Skilled Immigrants. The draw was conducted on January 27, 2017, and a total of 189 candidates who had already submitted an EOI to the program were invited to apply according to their credentials under Manitoba’s unique immigration points system. The successful candidates were given an invitation, formally known as a Letter of Advice to Apply (LAA). The candidates who are eligible for one of the MPNP for Skilled Workers sub-categories are ranked according to a points system that awards a maximum of 1,000 points to each candidate. Of the 189 candidates issued with an LAA, 150 were in the Skilled Workers in Manitoba sub-category, and each one of them had at least 734 points in the MPNP ranking system for Skilled Workers. The remaining 39 LAAs were issued to candidates in the Skilled Worker Overseas sub-category who had at least 707 points and who were directly invited by the MPNP under a Strategic Recruitment Initiative. Recruitment missions – These are overseas employment/recruitment fairs held by MPNP representatives who conduct interviews of skilled workers and those who are successful are invited to apply by submitting a formal Expression of Interest (EOI) to the MPNP. Exploratory visits – The MPNP may invite people who have undertaken a pre-approved Exploratory Visit and passed an interview with a program official. The MPNP for Skilled Workers was established to help employers in Manitoba find foreign talent to complement their existing workforce. The Manitoba government selects experienced workers who have made an Expression of Interest in immigrating to the province and who have the skills needed across the local labor market, and nominate them to receive a provincial nomination certificate from the MPNP. Once the individual receives a nomination certificate they are able to apply to the federal government for permanent resident status. In this sub-category of the MPNP, applications are accepted from qualified foreign workers and international student graduates who are currently working in Manitoba and have been offered a permanent job by their employer in the province. This MPNP sub-category is for Skilled Workers who may be outside Canada but have demonstrated a strong connection to the province and its labor market. A point’s based system is used to assess candidates according to factors such as age, language proficiency, work experience, education, and adaptability. Have an existing open application with a MPNP file number in the Skilled Worker Overseas stream in the MPNP checklist. Have the potential to meet the eligibility criteria of at least one of the three federal economic immigration programs included in the Express Entry, namely the Federal Skilled Worker Class, Canadian Experience Class, and the Canada Federal Trades Class. It is important to understand that consideration under this initiative does not guarantee approval by the MPNP or Immigration, Refugees and Citizenship Canada (IRCC). 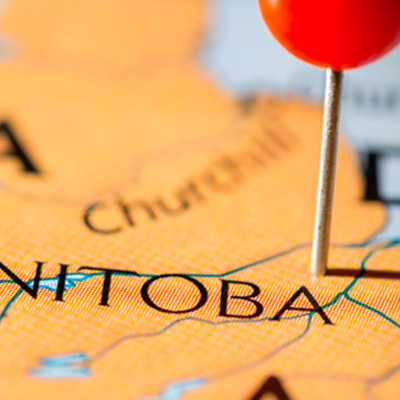 Applicants nominated by Manitoba will still have to provide the necessary evidence that they meet the federal criteria when submitting their permanent residence applications through Express Entry.